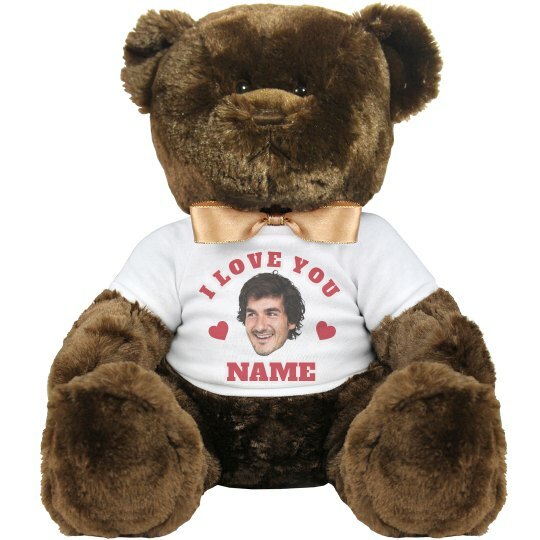 Show your special lady some love by designing a bear just for her. Upload your face to the shirt and add her name to the bottom so it is personalized. This bear is the perfect add on with a custom t-shirt or mug to further show your love.